The European Academy for education and social research is a social enterprise. We enjoy developing a better society, providing Masterclasses and Coaching. We love to engage our participants in learning by doing activities and real-life challenges. Our methodology is always following the circular economy principles with a focus on the efficient valorisation of the resources and the effectiveness of the results. We are fostering effective, sustainable and responsible development by helping individuals, experts and organisation to design and implement changemaking projects. We are developing the European Projects Accelerator and the International Development Centre in partnership with the European Projects Association and the Association Informo and the Institute for Adult Education Sophia. Our Masterclasses are Classroom-based, Web-based or Tailor-made. The Coaching activities are planned on demand. 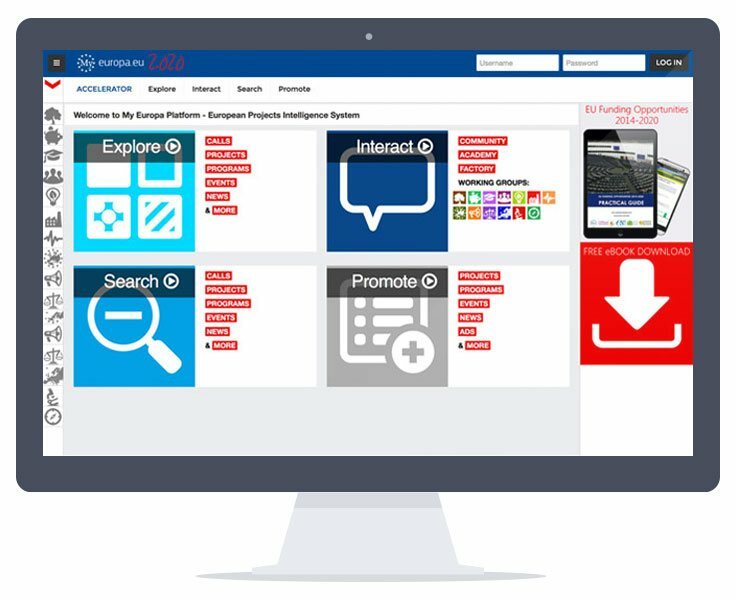 European Academy for Education and Social Research, in collaboration with EPA (European Projects Association) developed My Europa, an e-learning platform for European projects stakeholders where everybody can search for funding opportunities, promote ideas, ongoing and concluded projects, events and news. It is a networking community platform created to share information, advertise European projects and distribute the European Project kit, including the European Projects English vocabulary, Tips for a Successful Proposal and the Project Idea Template. With My Europa you have also the possibility to get access to our online training courses package, including didactic materials and recording from lectures and to get in touch with our experts. Moreover you can explore the European projects best practices, get a free yearly membership in the European Projects Association (EPA) and enjoy extra benefits. Make sure you do not miss our next masterclasses and information about funding opportunities. Copyright © 2019 European Academy for education and social research. All Rights Reserved.